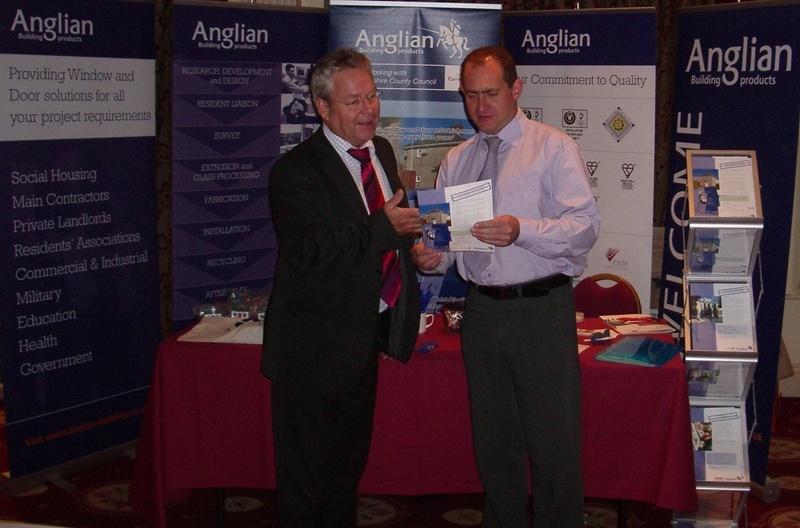 Anglian Building Products will join over 400 Welsh housing professionals next week (20 – 22 April) at TAI 2010 in Cardiff. Demonstrating their experience in providing large-scale refurbishment programmes, Anglian will highlight the recent works undertaken on behalf of Carmarthenshire County Council alongside their portfolio of UPVC windows and doors, cavity wall, loft and external solid wall insulation programmes. TAI 2010 is the annual conference of Chartered Institute of Housing Cymru. The event, being held at Cardiff City Hall, will attract almost 400 Welsh housing professionals over three days. With 2010 being billed as the year of change, the conference aims to examine the significance of the potential changes that will affect housing strategy and front line delivery. The exhibition runs in conjunction with the conference and will bring more than 60 companies together under one roof as they promote their products and services to the key decision makers from across Wales. For more information on Anglian Building Products please click here.